Tonight on Fox GLEE continues with a new episode called, “The Quarterback.” On tonight’s show it will be a tribute to Cory Monteith who passed away from a drug overdose in July. Did you watch last week’s episode? We did and we have a full and detailed recap, right here for you. On last week’s show as Beatlemania continued at McKinley, it was time for the students to vote for prom queen and king. When Tina received a nomination, she took on a fierce attitude that alienated her biggest supporters. Meanwhile, Rachel adjusted to a new attitude of her own, as she and Santana worked at a Broadway diner to make ends meet. On tonight’s show the McKinley family of the past and present join together to remember and celebrate the life of Finn Hudson. Cory Monteith, who played Finn, was found dead in a Canadian hotel room in July of an accidental alcohol and drug overdose that ended his long, fight against addiction at age 31. RECAP: The cast of Glee start the episode with them all singing wearing black, along with a black background behind them. It starts off with Kurt remembering Finn, looking at pictures of him and looking at the suit he wore at the funeral. Kurt continues to keep talking about, how he can’t believe that Finn is gone. Sue is in the staff room, talking about Finn’s death with the rest of the staff and how they’re going to help the students move on. Will is talking to the Glee club about what song they should sing next, many people don’t look like they are in the mood to sing. Mercedes wants to sing now and not wait for a week to, she’s going to sing a song for Finn about what he sang to what he thought at the time was his baby’s sonogram. Mercedes begins singing the song, everyone in the Glee club listening seem to be getting emotional by it. The song Mercedes is I’ll Stand By You. In the end the Glee Club join Mercedes in singing I’ll Stand By You. Mercedes finishes the song and the bell rings, it cut to Sue speaking to Kurt in her office; turns out that someone has vandalize the memorial for Finn. Sue needs money for another tree and Kurt hands her it. Kurt goes to Finn’s parents to help get rid of Finn’s things in his room. Finn’s father doesn’t want to get rid of the “faggy lamp”, he wants to take it to work with him to have something to remember him. Finn’s parents begin to talk about how they wish they did more with Finn while he was alive, Kurt is there looking very emotional over the entire thing. Finn’s father begins to speak about the past and memories of Finn at the time, how he didn’t help or do enough for Finn when he was alive; that he regrets not doing enough for him. Kurt decides to take Finn’s jacket that he wore, the jacket clearly doesn’t fit Kurt well, but he wants it for sentimental values. Finn’s mother is now feeling the pain of losing a child, she doesn’t know how to react with the lost of their son; that it’s nothing that they’ll ever be able to forget as they live, that she’ll have to continue being a parent even though she doesn’t have a child anymore. Kurt is with Noah at the moment, Noah wants the jacket that Kurt decided to keep as a remembrance of Finn. Kurt turns him down and tells him that there’s nothing he can do to get the jacket from him. Sam is playing the guitar as the rest of the cast of Glee are singing on the stage in the school, with no one in the audience. The song they were all singing was Fire And Rain by James Taylor. Santana decided to leave the stage and walked to the memorial of Finn, to remember him. Santana finds out that Sue is going to be taking the memorial of Finn down, Santana gets pissed off and goes to talk about it with Sue. Santana goes on and on losing it at Sue, yelling and insulting Sue and how she never cared about Finn. Santana then pushed Sue and walked away. Tina goes to the counselor, to talk about how long she’s been wearing black, the counselor helps her out and gives her books to read. Will goes in to speak to the councilor, to speak about Finn. Will is completely heartbroken, he wants to make sure that everyone around him is taken care of. Emma lets Will know that she’s there for him if he ever needs it. Noah arrives at the locker room completely drunk, the gym teacher tells Noah it’s alright to have feelings. Noah doesn’t want to cry because he feels like he would never stop crying, Noah kicks over something; he sits on the bench next to the gym teacher and cries on her for a bit and explains how much Finn helped him. Noah doesn’t understand how to carry on without Finn, the gym teacher says that Finn is dead and that all they have of him now is the memory of what he’s done for everyone. Noah wants to retire Finn’s number on the team, to get the jacket Kurt is wearing and hang it in the locker room. Santana decides to sing If I Die Young by The Band Perry. The rest of the Glee members sit there and listen, but near the end they decide to join in. Santana ends up breaking down into tears and leaves before the final chorus, Santana goes to the school’s stage and sits alone. Kurt comes along to speak with Santana, Santana mentions a thing she wrote; Kurt wants to hear it, Santana is reluctant at first but decides to read it to him. Santana mentions how much Finn was a better person than she was, Kurt tries to console her; but she asks Kurt to leave. Before Kurt leaves, he puts Finn’s jacket on Santana. 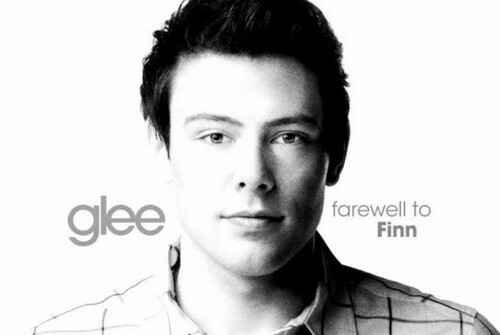 Noah sings his song in remembrance of Finn, the song he’s singing is No Surrender by Bruce Springsteen. During the entire time Noah is singing he’s looking at the chair that Finn used to sit in, when he was alive and sitting in the Glee Club. Santana comes out of no where confronting Noah, because she believes that Noah took Finn’s jacket. Kurt tells Noah that he can have the jacket, but Noah keeps saying that he didn’t take the jacket at all. Santana goes back into the office to speak with Sue and apologize to her. Before Santana can talk, Sue tells her to shut up and tells Santana that she was right the whole time. That Sue didn’t treat Finn well while he was around, that Finn probably hated her when he died. Sue is in disbelief that Finn is gone at the moment, Sue admits that Finn could have been a good teacher and she wanted to teach along with him. Sue is upset because of all the potential Finn had. The Glee Club go to the memorial, we then see Rachel next to Kurt. Rachel stands in front of The Glee Club, telling them that she loved Finn and the Finn loved them all also. Rachel decides to sing a song that her and Finn used to sing together, she sings Make You Feel My Love by Adele. The entire time Rachel is singing, you can see that she’s very emotional during it. While Rachel is singing, the rest of the Glee members are getting emotional also. We see Santana putting up flyers for Finn’s jacket, she wants to find it and even put up a heft reward for who ever finds it. Santana speaks about how she used to love the school to Will, but it reminds her of all the things she lost. Will gives Santana a hug, Noah replaces the tree for Finn. The Noah and the coach share a beer and speak about Noah’s future, Noah mentions how he wants to be an air force pilot, something along the lines of a Top Gun. Noah understands that he has to make his own decision in life without Finn. Noah drives off on his motorcycle. Rachel enters the Glee club and meets with Will alone, she talk about how Will has been the rock for everyone, but that she’s there if he needs it. Will asks how Rachel is doing with it, she’s clearly not doing well; she doesn’t want to forget Finn. Rachel says that she had everything planned out, how they’d have a future together; a happy ending that won’t be happening. Rachel knows that Finn knew about that very plan, but now that plan isn’t available. Rachel is grieving for Finn and doesn’t know what she’s going to do without him, there have been many memorials for Finn, but Rachel decided to get something made. Will looks at what Rachel brought in, then Will decides to hang it up, it’s a plaque of Finn and a quote he once said. Will arrives back at his place, alone and not looking to well; Will opens up his bag that he brought in with him and pulls out Finn’s jacket. Turns out that Will was the one who took Finn’s jacket and not Noah. Emma walks in to hear Will crying alone on the couch, she walks in and sees exactly what she heard. Will is sitting on the coach with Finn’s jacket pull towards him balling his eyes out, Emma sits down with Will and lets him cry on her shoulder.